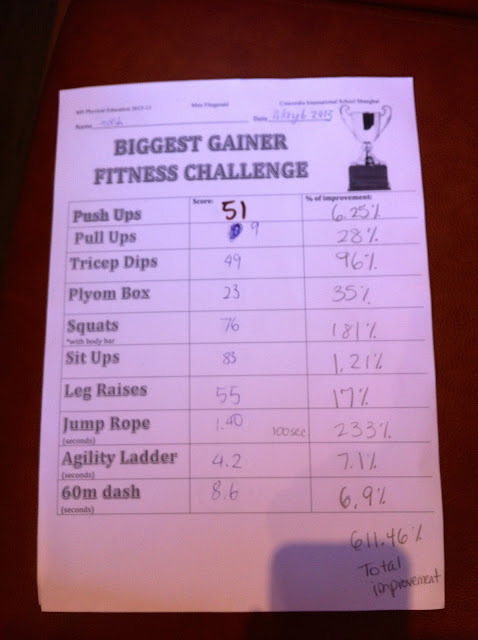 Here are the winning results from the third "Biggest Gainer" Fitness Challenge, for the Fitness Training elective I am teaching this semester. This student had a total improvement of 611%!! TOTAL BEAST!! Congrats Joash!